Select Capital Size 5" x 3-1/4" x 6-3/4" 6-1/4" x 3-3/4" x 7-3/4" 8" x 5-1/4" x 10-1/2" 9" x 5-1/2" x 12" 9-1/2" x 6" x 12" 10" x 6-1/4" x 14-1/2" 11-1/2" x 6-3/4" x 15" 12-3/4" x 7" x 15" 14-1/2" x 9" x 17-1/2" 15-1/4" x 10-1/4" x 22" 16-1/2" x 10" x 22-1/2" 18" x 11" x 26" 20-1/2" x 13" x 30-1/2"
Chadsworth offers beautifully-detailed Cast Resin Capitals in several of the Classical Architecture Orders: Doric, Ionic, Corinthian, and Composite. These capitals are fabricated utilizing a polyester resin that is mixed with a lightweight filler, which is the catalyst that creates a chemical reaction to start the process of hardening the resin. 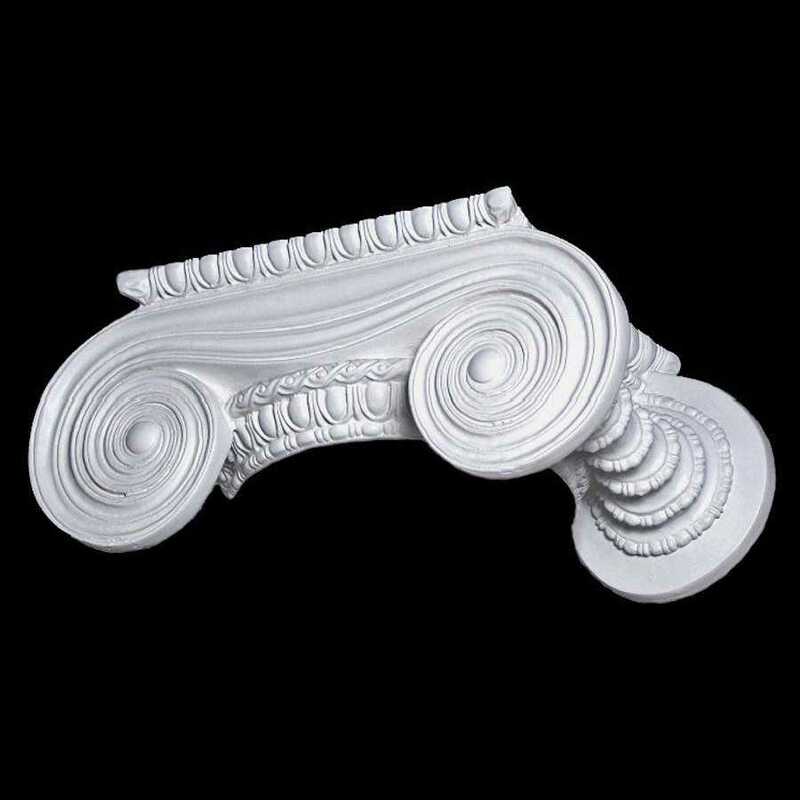 Our Cast Resin Decorative Capitals are Paint-Grade. These capitals are load-bearing, and they may be used for both exterior & interior projects. They are designed to sit on top of an existing column shaft, and they will add height. We offer capital designs with both round shape variations and square shape variations. Browse our collection of Decorative Cast Resin Capitals, which are offered in a wide range of sizes to fit your column needs.